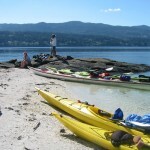 … a unique salt spring island experience. Solace Organic Spa is the boutique day spa and wellness retreat B&B for local and visiting spa enthusiasts seeking exceptional professional massage and spa therapists in natural eCo contemporary surroundings. We offer an array of holistic therapies by some of Salt Spring Island’s finest and qualified practitioners. Our spa menu offers certified massage, RMT massage therapy, acupressure, reflexology, ocean stone massage and facials, aromatherapy, facials, salt glows, steam sessions, solace skin care, waxing, tinting, manicures, pedicures and private yoga therapy. Our guests can enjoy our Solace Spa Ritual (infrared sauna and forest hot tub). We also host spa parties and offer couples’ massage or side by side services for you to enjoy with a loved one, family member or friend. We offer an overnight private spa retreat and also travel out with mobile spa services. We compassionately soothe the body, mind and soul by enveloping your being in a sanctuary of solace inspired by nature. Our commitment to your well-being and our environment is honoured with the use of our own Solace Organic body and skin care products using the finest botanicals of Earth and Sea. Our family of qualified professionals are committed to the relaxation, rejuvenation and healing process of our guests, offering a selection of esthetic, therapeutic and holistic services to create balance, harmony, and the most unique natural health spa experience possible. Specializing in private and secluded healing retreats for spa enthusiasts and couples! We look forward to helping you create your very own individualized personal wellness and private spa retreat for 2016!